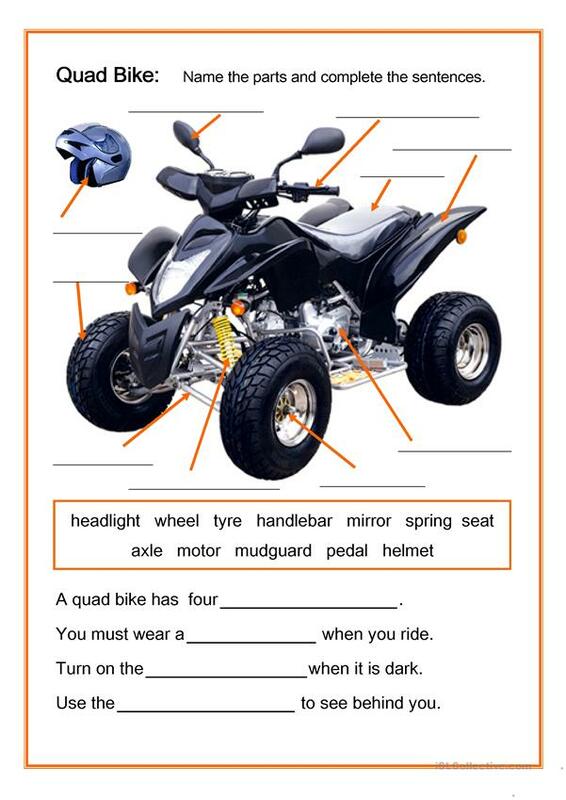 Label the parts of the quad bike and complete the sentences using the words from the list. The present downloadable worksheet was created for high school students and elementary school students at Beginner (pre-A1) and Elementary (A1) level. It is a useful material for practising Nouns in English, and can be used for developing your pupils' Reading and Writing skills. It is focused on the vocabulary topic of Means of transport.